Our Warwick Location has moved! Comprehensive Pain Management is pleased to announce that we have MOVED our Warwick location. After many months planning and building with our team, we have officially moved from Bald Hill Rd location to 2870 Post Rd, Warwick, RI. Our patients are important to us, and our goal is to make each patient feel welcome and comfortable at every location! Our Warwick location has been upgraded to a new building with state of the art equipment and beautiful new waiting area. We expect our patients to enjoy the convenience and new patient environment. So come visit us at our new location today, or call us to book your appointment! 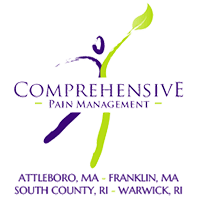 Comprehensive Pain Management, with offices in Franklin, MA and Warwick, RI, has recently opened its doors in South County, RI. Chronic Pain affects 1 in every 3 Americans and physicians have begun approaching it as a condition of its own rather than a symptom of an illness. With new advancements in chronic pain treatment, a spectrum of options are available for patients. “Minimally invasive procedures for chronic pain are very effective and require little to no downtime, as opposed to open surgery” explains Dr. Do Chan, a double board certified anesthesiologist and co-founder of Comprehensive Pain Management Centers (CPM). Aside from surgery, narcotics were often prescribed in large quantities to manage post-surgical pain and chronic pain. In recent years, narcotic prescriptions have decreased and new technologies combined with a multidisciplinary approach to care, have brought much needed relief to those suffering from chronic pain. This comes at a fragile time when an opioid outbreak is prominent in our country. Specialty chronic pain centers like Comprehensive Pain Management, are crucial in offering solutions that increase mobility in chronic pain sufferers and improve people’s quality of life. Dr. Boris Shwartzman, a double board certified anesthesiologist and co-founder of Comprehensive Pain Management Centers says “We felt that people of South County were under served with regards to pain management services. They had to endure long drives in order to see a pain specialist and we decided to bring our expertise closer to their place of living”. The specialists at Comprehensive Pain Management create customized treatment plans to target each patient’s specific pain. Offering an interdisciplinary approach that includes state-of-the-art procedures combined with controlled medication management and a thorough consensus with any other physicians that may be involved in the patient’s treatment. CPM even provides an in-house psychologist to help patients overcome the hurdles associated with living in chronic pain. Comprehensive Pain Management is looking forward to serving the South County Community. As physicians have begun approaching chronic pain as a condition of its own, a spectrum of options are available for patients, the doctors said. “We felt that people of South County were under-served with regards to pain management services,” Shwartzman said. “They had to endure long drives in order to see a pain specialist and we decided to bring our expertise closer to their place of living.” The specialists said they create customized treatment plans to deal with each patient, based on a “thorough consensus with any other physicians that may be involved in the patient’s treatment.” An in-house psychologist can help patients “overcome the hurdles associated with living in chronic pain,” the doctors said in a news release. For more information call the office at 401 234-9677. Two doctors at Sturdy Memorial Hospital performed the same spinal procedure on each other's mothers. Being a doctor at Sturdy Memorial Hospital comes with the added benefit of always knowing someone who can help when a relative falls ill or is injured. For Dr. Boris Shwartzman, that time came when his mother was complaining of back pain last fall. An expert himself, and realizing exactly what his mother needed, he turned to his partner Dr. Do Chan. He did not know that his partner would be turning to him just a few months later. "My choice was either do it myself or have my partner do it," Shwartzman said. "We’re the only two that do it here in the hospital." Shwartzman asked Chan to perform a procedure called Balloon Kyphoplasty on his mother, Slava Schwartzman. The 76-year-old slipped and fell in the days prior. The seasoned doctor knew right away that his mother had a spinal fracture. "There’s a few key words that I hear my patients describing their pain that trigger a certain response so I suspected immediately that she had a fracture," he said. "She’s a fragile old lady and I know she is someone who is likely to have that." The procedure involves creating a cavity inside the spine, then filling the cavity with cement to act as a buffer between bones. While one slip-up in the procedure could clearly have disastrous results, both doctors described it as "simple." For Chan, though, the added stress of operating on a close colleague's mother was difficult. "You don’t operate on your own family members," he said. "You’d probably be too stressed and it wouldn’t work. Even that, knowing it was his mom, I was a little bit stressed. It’s one of those things – once you start, you don’t really think that much about it – it’s just getting it done." Slava Schwartzman was pain-free and cured within days of the procedure, her son said. For him, it was a relief - but before he got a chance to take a breath, Chan was asking him to return the favor. "I was shocked because the coincidence is quite amazing," Shwartzman said. "Also, she’s much younger so it’s a rare occasion to be operating on someone that age." Chan's 61-year-old mother, Cindy, fell while participating in a work-out class at the gym. After going to the emergency room and consulting with her primary care doctor, the cause for her back pain became clear to her son. "Within the first few days, she was in a lot of pain, which I expected," Chan said. "But, as it dragged on by one week, she couldn’t get out of bed and this is someone who is very active normally – going to the gym and exercising a lot so I knew something wasn’t right." Sure enough, Chan's mother had the same ailment that sidelined Shwartzman's mother - a spinal fracture. A Balloon Kyphoplasty was in order. "I could have had her go to Rhode Island Hospital," Chan said. "There are some people that do it there. But, I know my colleague does them so we’re the only two that do all of them so why have her go to Rhode Island Hospital where I don’t know any of the physicians and she could have come her. I just had her set up to come here." He said that at the time, neither doctor thought much of the major coincidence associated with both of their mother's operations. For Chan, it was just nice to know his mother was being taken care of. "It’s nice to know the physician that’s doing it," he said. Cindy Chan, like Slava Schwartzman, was back in action within a few days. "Immediately after the surgery within a couple of days she was out and about and almost back to her norm," Chan said. "I think within like three or four weeks she was back to the gym again." Chan said spinal fractures are generally a result of osteoporosis. He said that almost 2 million fractures were a result of the disease in the year 2005. For spinal fractures in particular, balloon kyphoplasty is a relatively new procedure. "Back in the day, if you had this fracture, you bear with it and take pain medications and hopefully you get better in 3-6 months or more," Chan said. "There was nothing that could be done for it. Now with this, you can get instantaneous pain relief and it stabilizes the fracture. We are getting the word out. It’s becoming more known." For the two doctors, performing the same procedure on each others mothers brought them closer together. The two were already close friends and partners. "Obviously that occurrence and all - that was another layer," Shwartzman said. "We’re very close." When Sturdy Memorial Hospital's Dr. Do Chan performed a surgical procedure on his colleague's mother to repair a broken spine, he had no idea his own mother would require the same surgery just a few months later. That colleague, Dr. Boris Shwartzman returned the favor, performing the same surgery - known as a balloon kyphoplasty - on Chan's mother. The pair, who are pain management specialists and anesthesiologists, said selecting a doctor to provide the best care possible for their mothers was an easy decision. "You aren't going to operate on your own mother, so it made sense," Chan said. "We really didn't think anything of it, until someone else mentioned it was unusual to have two doctors who had operated on each other's mothers." Slava Schwartzman, 76, of Brighton, fractured her spine Oct. 12 after slipping and falling in a middle of the night trip to the bathroom for a glass of water. "At first, I didn't feel anything was wrong. In the morning, there was something wrong with my back. I couldn't sit up and I was in terrible pain," she said. Without any visible bruising on her side, Schwartzman - who spells her last name differently from her son - took some extra strength Tylenol, but later called her son when the pain got worse. Dr. Shwartzman, 49, suspected his mother had fractured her spine. "We see the vast majority of patients in this area, so we know when they describe their pain in a certain way that it's usually a spinal fracture," he said. His mother was unconvinced at first. "I said it cannot be. I didn't fall on my back and had no bruises - nothing," she said. But, she went to the hospital for an MRI, which confirmed her son's diagnosis. The next day, she had the balloon kyphoplasty, which was performed by Chan, 39. Balloon kyphoplasty is a minimally invasive surgery. It uses an orthopedic balloon that is inflated inside of the fractured bone to lift it and return it to the correct position. The doctor then fills the space created by the balloon with thick bone cement to stabilize the fracture. Pain relief is almost immediate after the hour-long procedure. "When fractured, the vertebrae have a swelling, or edema, that causes a lot of pain, Dr. Chan said. "After the procedure, patients usually find their pain improves by 70 percent, aside from the incisional pain. They are better within a few days and can resume normal activity within a week." In a surprising twist, Chan's mother, Cindy, 61, of Westerly, R.I., also needed a balloon kyphoplasty just a few months later. She also suffered a spinal fracture, though it took much longer to diagnose. Feb. 26 started as a typical morning for Cindy Chan. She went to the gym and was in the midst of a Zumba class when she took a bad fall. "I was having fun in the front of the line and I turned and lost my balance and fell on my hip area. I tried to get up, but I couldn't. Someone tried to help me up, but it hurt so much I didn't want anyone to touch me," she said. She took a trip to the emergency room and had a series of X-rays done, but no fractures showed up. She was told she might have pulled a muscle and was sent home with pain medication, but her son was concerned she might have fractured her spine. Chan called his mother's primary care physician, suggesting an MRI might be needed because spinal fractures often are not detected on X-rays. After almost two weeks of painful, sleepless nights, Chan's pain continued, so her doctor scheduled the MRI, which confirmed she had broken her spine. Shwartzman stepped into perform the balloon kyphoplasty procedure on her. Cindy Chan went home the following day, already feeling better. Since the procedure, Cindy Chan has been back to the gym - though she has sworn off Zumba for the time being, sticking with the treadmill and elliptical machines. In October, Slava Schwartzman fell out of bed in the middle of the night. She woke up in excruciating pain. "I called my son and he came the next day," she said. Slava's son, Boris Shwartzman, is a doctor. "I was suspicious right away when I went to see her. She was very limited in her mobility and immediately suspected fracture," said Dr. Boris Shwartzman. An MRI confirmed Boris's suspicion. But he wasn't going to operate on his own mother. "So I asked my partner to take care of her," Boris said. Boris's medical partner is pain management specialist Do Chan. A few months later, Chan's mom, Cindy, fell during a workout at the gym. "I lost balance. I was just sitting … boom," Cindy Chan said. Like Slava Schwartzman, Cindy had suffered a spinal compression fracture. So Boris returned the favor. "He said, 'Oh my God, I can't believe it. A few months ago my mom got the same problem as you and your son gave my mom surgery. Now it's my turn,'" Cindy Chan said. The procedure both women went through was something known as balloon kyphoplasty. "So what we do with the kyphoplasty procedure is we enter the vertebra through the back under X-ray guidance. Once we get in to the vertebral body, we basically inflate a balloon," Do Chan said. "And then we inflate the balloon. Once the balloon's inflated, we take down the balloon and then we inject it with cement to stabilize the fracture." Slava Schwartzman said it took a few weeks, but the pain is gone. Cindy said she saw more immediate results and is back at the gym. "I feel very good, thank God," she said. Spinal compression fractures are very common, affecting hundreds of thousands of people, especially those with osteoporosis. And balloon kyphoplasty is one of the newer ways to treat it. Shwartzman and Chan have a pain clinic out of Sturdy Memorial Hospital in Attleboro and one in Warwick.